Classic Car Tours That Create Memories! Miami is like no other city. There is so much to do and see that sometimes it can be a little hard to pick. This is your solution to learning about the best destinations to visit. 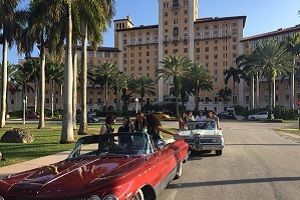 Explore and sightsee the City of Miami & Miami Beach touring in classic convertible cars. 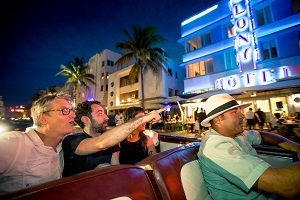 Our classic car tours are best way to tour Miami! Tour with an experienced, friendly private driver. 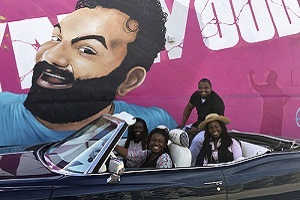 Things you can do in Miami & Miami Beach while sightseeing in a roomy antique convertible car. The classic car City tour will cover the most scenic touring and interesting tour areas in classic antique convertible car from the 1950's and 1960's. 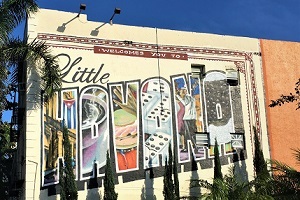 Whether you want to stop and grab an authentic cafecito in Little Havana or check out the Wynwood Walls, American Dream Tour Miami is happy to stop at any of the places toured. Tour and explore at your pace and don't get rushed like group tours. Did you know, you can get a classic car rental in Miami for special occasions like weddings, sweet sixteens, corporate events and photo shoots. 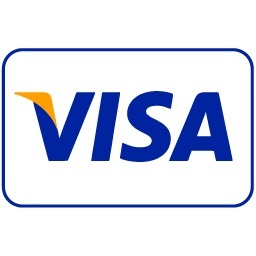 Classic car rentals can be tailored to client requests and come with an experienced driver.